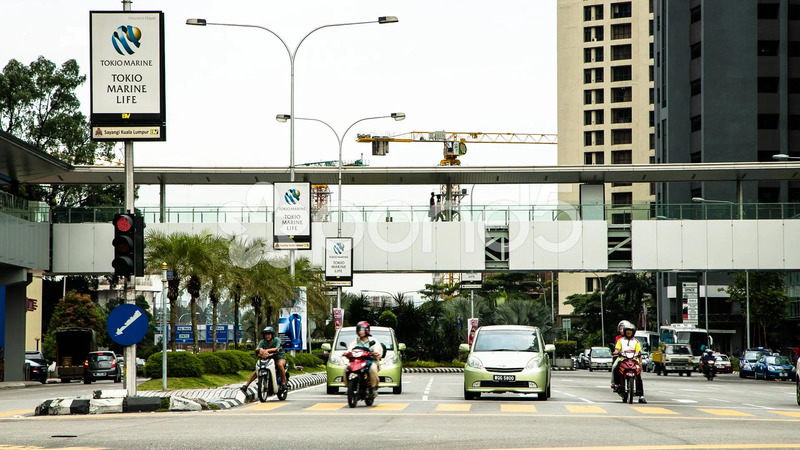 Description: A timelapse of Kuala Lumpur traffic in Malaysia. Busy movements of vehicles at the intersections can be seen. Traffic lights and construction crane are also visible.